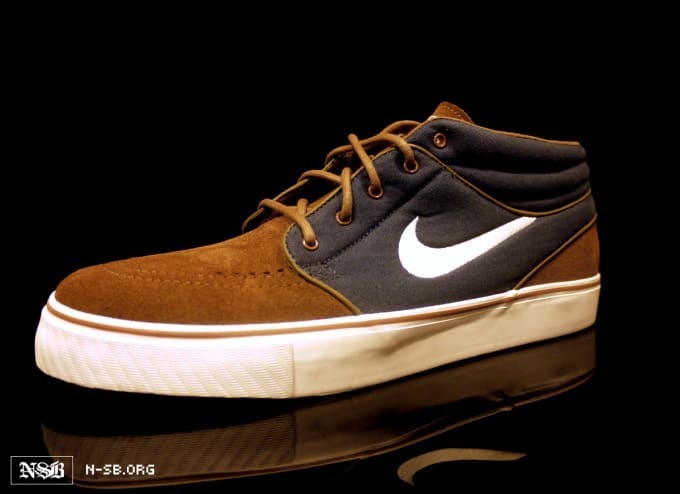 Nike SB Zoom Stefan Janoski Mid "Navy/Tan"
Today we get a look at yet another variation of Nike SB&apos;s Zoom Stefan Janoski from its Spring 2012 drop. Featuring a fall-esque colorway, these mids welcome a mixture of tan suede and navy canvas on the upper. Tan waxed laces accompany the two-tone Jans as they are set to release in early 2012.